This year, I didn’t have too much time to go see the cherry blossoms. It seems as if every year I get busier and busier and I just can’t go out and enjoy them. This year I barely had time to go and see the cherry blossoms. I was running late, as I usually am these days, and had less than an hour to enjoy the cherry blossoms at Chidorigafuchi. Last year, I was a week too late to enjoy them in Chidorigafuchi so this year I HAD to go. 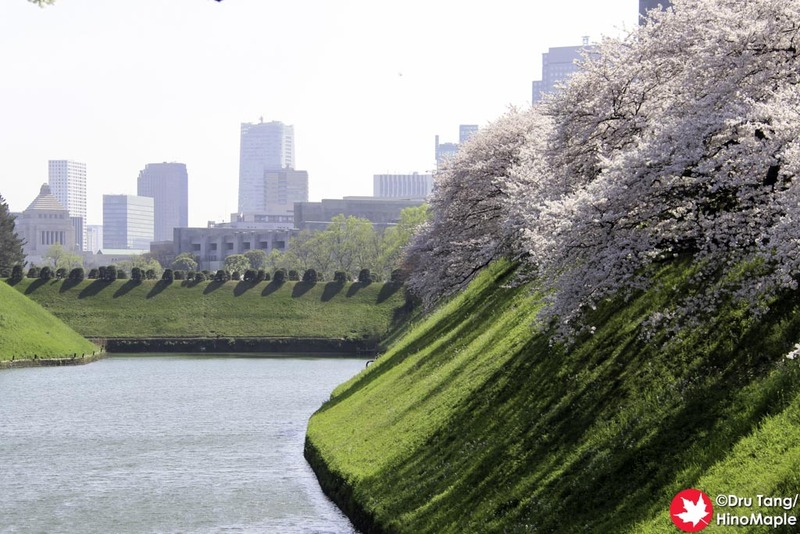 Chidorigafuchi if a strip of land that runs along the moat of the Imperial Palace. It generally starts from the Hanzomon and runs to Kudanshita near Yasukuni Shrine. I started my journey from Hanzomon and walked along the traditional running route. Since it was the afternoon, there weren’t many runners, but there were a LOT of people. The section on the west side of the Imperial Palace is beautiful but it was tainted by the sheer number of people. My own personal experience was also tainted by the lack of time, but I did the best I could. I then walked over to the Kitanomaru Park. It is a nice large park that is right between Chidorigafuchi’s traditional area and the Budokan, a judo hall used for concerts as well. It is a nice park but I basically just sprinted through this time taking only a couple photos. 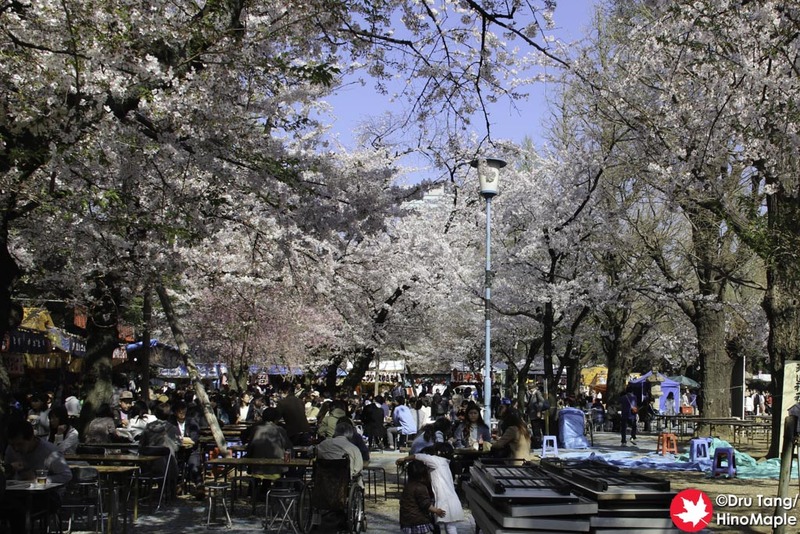 My goal was mainly to get to the Budokan and enjoy the cherry trees in the area. The entrance to the Budokan from Yasukuni is a very beautiful section. There are cherry trees covering the path and looking west from the bridge over the moat is a very nice view of several cherry trees. When you look at the moat around Chidorigafuchi, you will notice a lot of boats in the water. You can rent boats and take a special someone out for a little ride. Of course usually the guys are the ones who are rowing the boats but sometimes I do see women doing it. 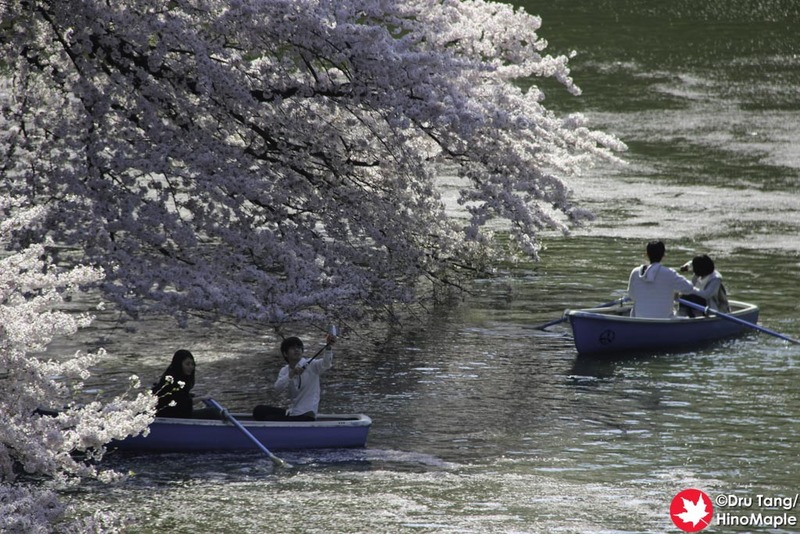 I guess in Tokyo a lot of guys just don’t know how to row a boat. Judging by other photos on the net, there can be a LOT of people there too. Just beware of the selfie sticks! I did my best to do a quick check of Yasukuni Shrine but ended up getting nervous due to the sheer number of people there. It was a mad house along the main strip from the Budokan to the main shrine: tourists, old people, and everyone else. I basically went up the side where very few people go and just took a quick look at the food stalls. I’m sure that if I was with a bunch of friends and we were having beers I would have a good time, but since I had to go to work I couldn’t drink. 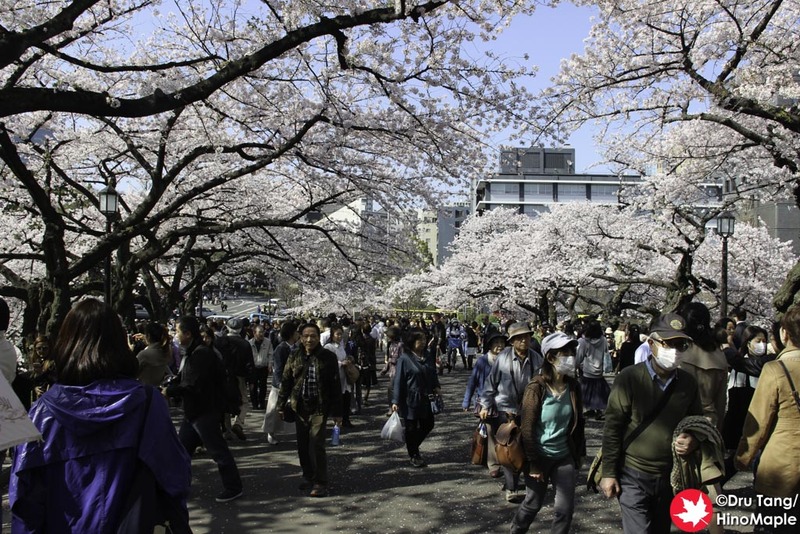 If you want to know the best area for the cherry blossoms, Yasukuni-dori is the best place in that area. 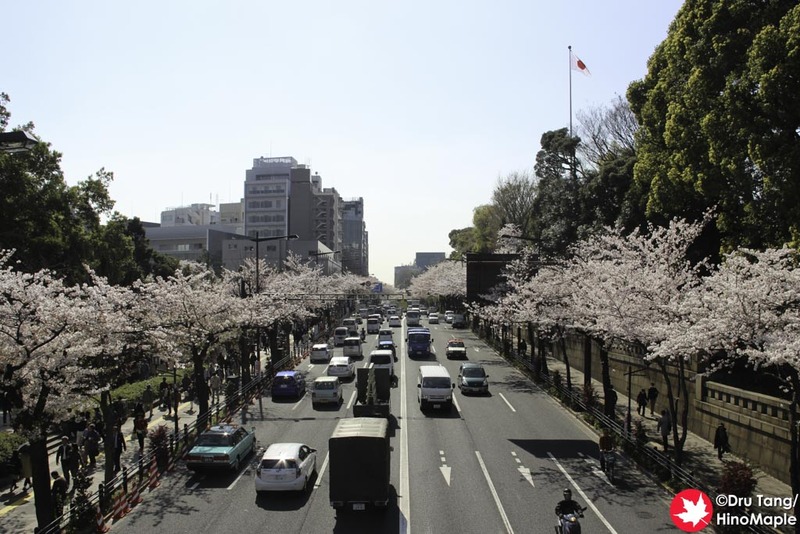 All along Yasukuni-dori from the Budokan all the way to Ichigaya Station, the street is lined with cherry trees. 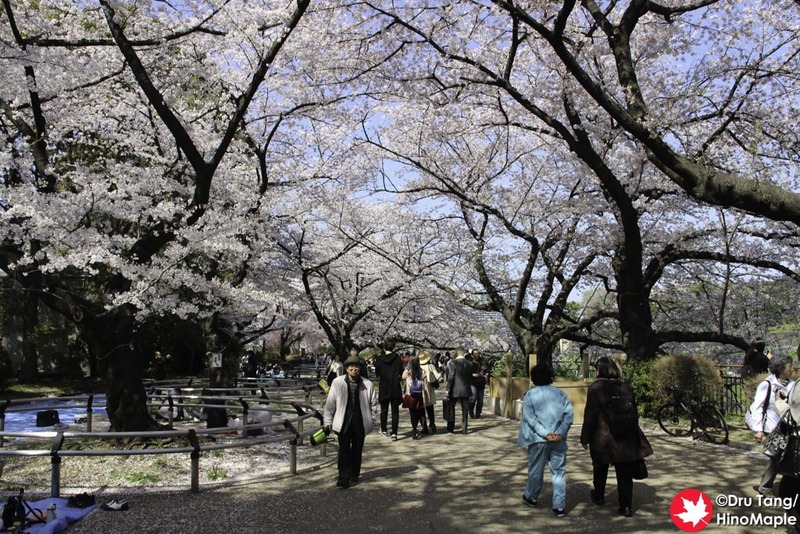 It was very beautiful and as I walked quickly to Ichigaya, I couldn’t help but enjoy the cherry trees at the same time. If you do get a chance, try to walk that way and hopefully you’ll have a lot more time than me. This entry was posted in Sakura (Cherry Blossoms), Tokyo and tagged Budokan, Budoukan, Cherry Blossom, Cherry blossoms, Chidorigafuchi, hanami, Hanzomon, Imperial Palace, japan, Kitanomaru, Kitanomaru Park, Sakura, tokyo, Yasukuni, Yasukuni Dori, Yasukuni Shrine, Yasukuni Street by Dru. Bookmark the permalink.